Tired of struggling with an unruly e-mail inbox? Can’t find important messages when you need them? Maybe it’s time to invest $6 a month for SaneBox, an e-mail management assistant. Jill Duffy, writer for PCMag.com, recently reviewed SaneBox. And after trying the program, she wrote, she understands why so many people are willing to spend $6 or more a month for the service. 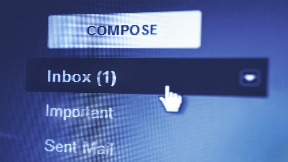 Basically, SaneBox makes e-mail simpler. In essence, it acts as a gatekeeper for your inbox. It lets in e-mail messages only from people with whom you’ve already exchanged e-mails. Every other e-mail goes into a different folder. The main selling point? SaneBox is easy to use. Duffy writes about other e-mail assistants that, while effective, require too much time on the part of users to master. SaneBox doesn’t fall into this category, according to PCMag.com.